TUCSON, AZ- Kaylee Rakowksi of Sahuarita, Arizona will be joining the University of Arizona’s cycling team starting in Fall 2014. Rakowski joins the Wildcats from Pima Community College where she played volleyball for the Aztecs. She plans on majoring in nutritional sciences and will focus on racing road for the Wildcats. “Kaylee expressed interest in joining us last fall and it is great to have her join our team this year,” said president Joey Iuliano. “With her volleyball experience she brings a lot of athletic talent and mental toughness which will transfer over well to cycling. She’ll be able to learn a lot and grow quickly as a rider on the team.” Rakowski is excited to compete in events this coming fall and spring. If you are an alumni who would like to support your Wildcat’s quest to be the best, you can donate here: UA Foundation All donations can be used as a tax deduction and every amount helps. We’ve set a goal to raise $15,000 before the start of the semester and already have a generous donation from Claris Eye Care! Help us close the gap to our goal! Bear Down! 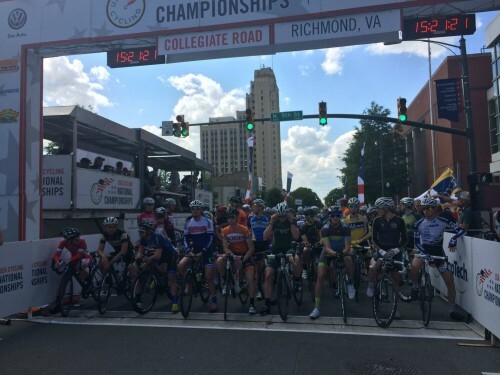 The University of Arizona cycling team sent eight members—Joey Iuliano, Max Rich, David Carlson, Quinn Keogh, Andrew Keller, David Greif, Jake McLaughlin, and Allison Alterman—to Richmond, VA for the 2014 USA Cycling Collegiate Road National Championships. The team focused special training efforts on the Men’s Team Time Trial this year, holding weekly practices where Iuliano, Keogh, Rich and Carlson took turns pulling the team around the river path each week. The hard work paid off in Richmond where they placed eighth—only five seconds short of a podium—compared to their seventeenth place result in 2013. Greif, Keogh, Keller, Rich and Alterman participated in the technical and hilly downtown criterium the following day. Greif, a first-year racer and freshman, showed great promise in the race, holding onto the pack for a majority of the laps. Keogh, a former pro, held good position until a mechanical forced him to withdraw. The Wildcats’ best crit result came from Rich who, despite a mid-race crash, finished nineteenth in a field of 110. 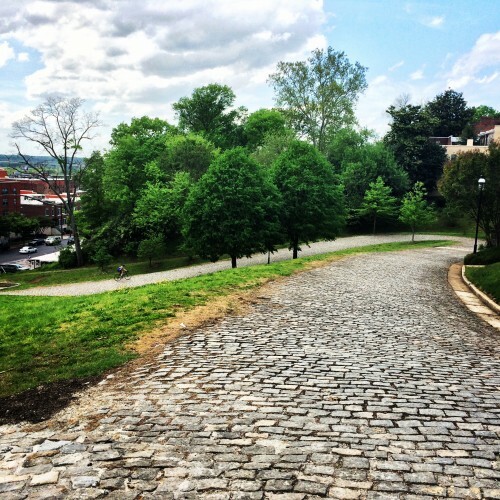 The road race course was a ten-mile loop featuring many sharp turns, short climbs, and two sections of cobble. The women raced five laps, and the men raced seven. 166 men started the road race, and the pack quickly strung out. Some crashes up the road left several UA men chasing the field, in valiant efforts that, in the end, were made in vain. Rich’s crash the previous day prevented him from starting, and Carlson experienced a mechanical. Keogh pulled through, however, with final sprint into 33rd. Overall, UA Cycling is pleased with the improvements they saw in their results this season, and look forward to doing even better in Ashville, NC in 2015. TUCSON, AZ- Shane Scoggin of Reston, Virginia has committed to University of Arizona’s cycling team. Scoggin plans on majoring in geology and selected the University of Arizona for their academics and the excellent riding in the region. Scoggin will focus on road and cyclocross for the Wildcats. Scoggin has raced for several years and has earned several top finishes, including a win at the Poolesville Road Race and 7th place in the Tour of the Gila time trial in 2013. 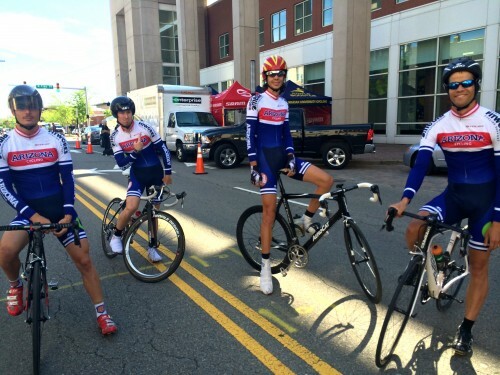 For the 2014-15 year the UA Cycling team will be announcing new team members via press releases. Look for more over the summer and for a big release the first week of school after our recruitment meeting. We’ll also be debuting a roster page in the fall as well!